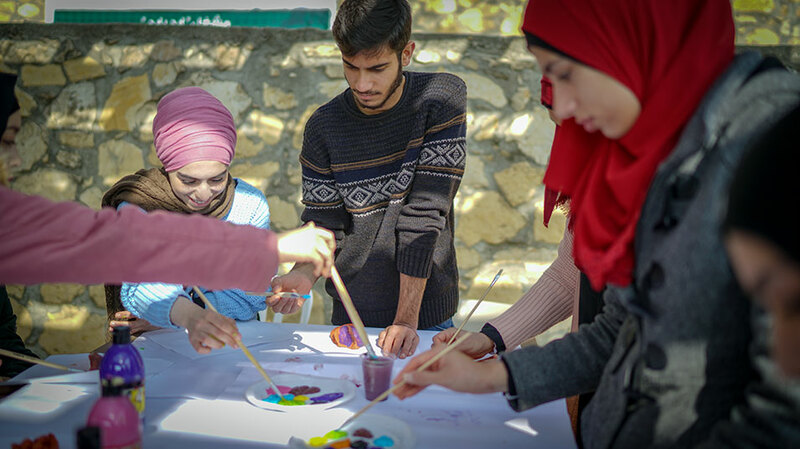 Birzeit University students found a new outlet for their emotions in expressionist art during three interactive art workshops organized by the Deanship of Student Affairs, together with the Palestinian Counseling Center, on Tuesday, December 4, 2018. The workshops, led by Rana Nashashibi, the center’s director, and Nisreen Busheyeh, a psychology expert at the center, introduced 45 students to emotional expression by painting abstract, expressionist drawings. Samia Hawamda, a social advisor at the Deanship of Student Affairs, said the university’s student counseling office is always developing new workshops and training sessions that help students better address and deal with their emotions and develop life skills. These particular workshops, she noted, were held at the end of the Fall term to help students cope with the stress of finals. 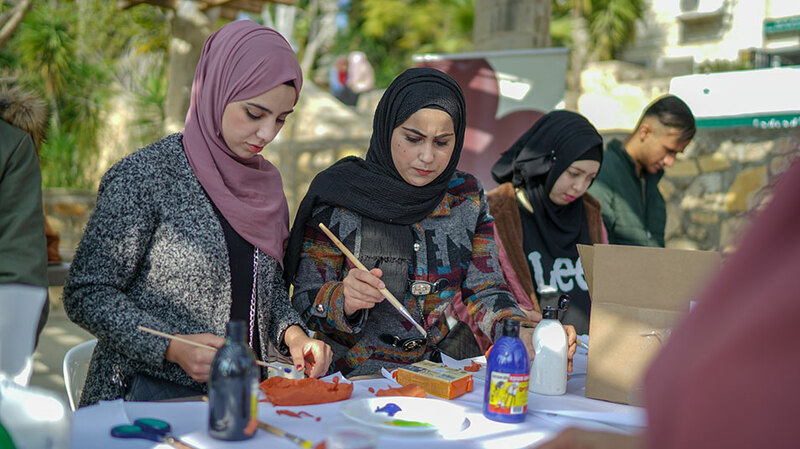 Awtan Khalawi, the media coordinator at the Palestinian Counseling Center, commented that the workshops are part of a series of activities marking the center’s 35th anniversary. The sessions, she added, will be also held at An-Najah National University and Bethlehem University. Busheyeh, commenting on the nature of the workshops, remarked that expressionist art helps individuals cope with the stress of daily life. It is a healthy outlet through which individuals identify and deal with their emotions.